In the aftermath of World War II, America stood alone as the world's premier military power. Yet its martial confidence contrasted vividly with its sense of cultural inferiority. Still looking to a defeated and dispirited Europe for intellectual and artistic guidance, burgeoning trans-national elite in New York and Washington embraced not only the war's refugees but many of their ideas as well, and nothing has proven more pernicious than those of the Frankfurt School and its reactionary philosophy of 'critical theory.' At once overly intellectualized and emotionally juvenile, Critical Theory-like Pandora's Box-released a horde of demons into the American psyche. When everything could be questioned, nothing could be real, and the muscular, confident empiricism that had just won the war gave way, in less than a generation, to a central-European nihilism celebrated on college campuses across the United States. 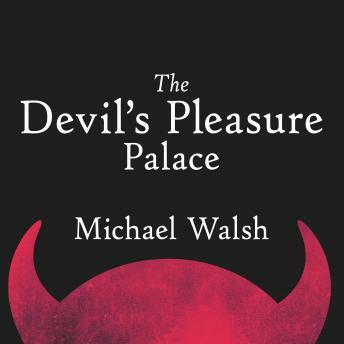 In The Devil's Pleasure Palace Michael Walsh looks at how Critical Theory took root in America and came to affect nearly every aspect of American life and society-and what can be done to stop it.